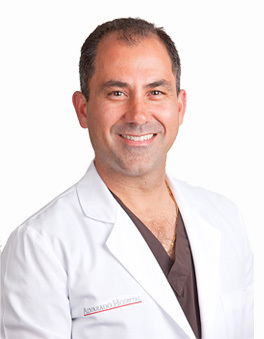 Board certified by the American Board of Orthopaedic Surgery, Dr. Ramin Raiszadeh is an orthopedic surgeon specializing in the complex field of adult spinal surgery. He earned his medical degree from Baylor College of Medicine in Houston, where he received the Paul Harrington Award for Research. He also completed a specialized internship and residency program at Baylor before achieving the highest level of medical education and fellowship training at the University of Texas Medical School. During this fellowship, under the directorship of multiple neurosurgeons and orthopedic spine surgeons, he became skilled in treating all forms of pediatric and adult spinal conditions. Dr. Raiszadeh uses an extensive variety of non-operative, minimally invasive and complex spinal reconstructive procedures to comprehensively improve his patients’ spinal disorders caused by adult degenerative diseases, tumors, traumatic injuries, spinal deformities, and infections. It is his philosophy that no one should be restricted from enjoying life because of spinal ailments. Therefore, he uses the most advanced non-operative, operative and rehabilitative treatments to allow patients to return to their normal activities as quickly as possible. An exceedingly skilled surgeon, Dr. Raiszadeh has had multiple articles on operative techniques and ambulatory surgical procedures published in pre-reviewed medical journals. He is frequently invited to guest lecture at medical conferences throughout the U.S., Canada and Australia, including the Congress of Neurological Surgeons in Boston. In addition to his private practice, research publications and guest lecturing commitments, Dr. Raiszadeh is an active member of professional organizations such as the North American Spine Society, Western Orthopedic Association and the American Academy of Orthopedic Surgeons.